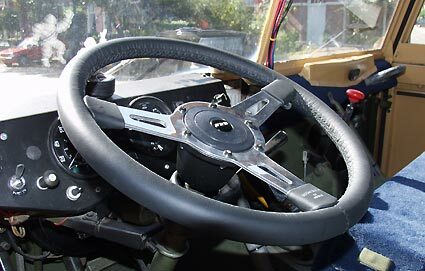 At Billing we bought a new steering wheel. No more black hands from the old one. 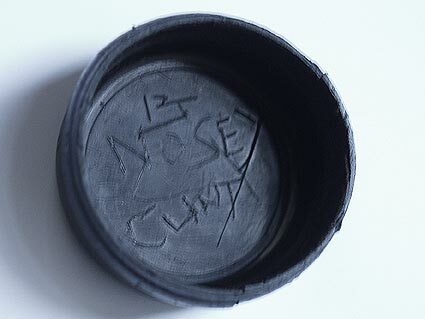 This was written on the inside of the stering wheel cap :-). Further I did not much on the 101 lately. 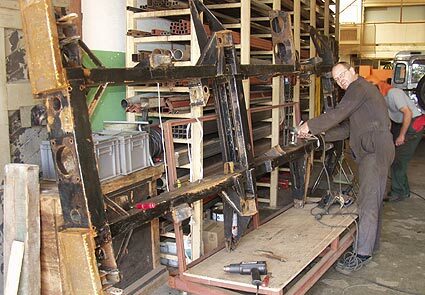 I went to Rotterdam to have a look at the GS from André van den Ende. 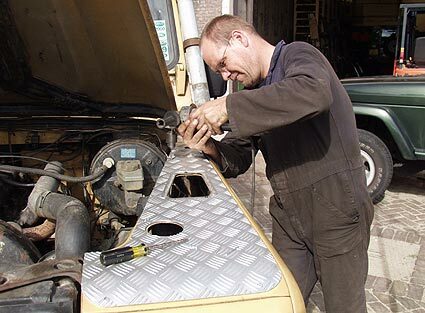 Pictures of the rebuild of his vehicle at www.aeware.nl. André put some wing protectors at our 90.